Crossing the Swiss-Italian border, it really feels like you’re going to a different country. Well, I guess that makes sense, since you ARE going to a different country, but it’s really quite a stark and stunning change. All of a sudden, attitudes are a bit more relaxed, way less people speak English, things seem a bit more run down and old, and the best part – the sun is shining and sparkling on the lakes dotting the region. Such is how we found ourselves in the town of Como, on the lake of the same name in the northern Italian region of Lombardy. 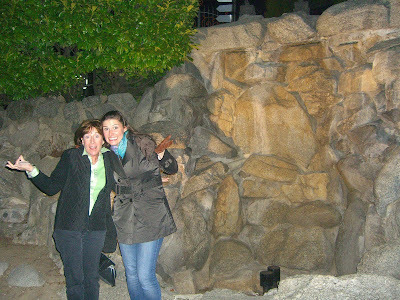 We were starving when we arrived, and after a twenty minute luggage-laden trek from the train station to our hotel, we stopped at the first restaurant we spotted. We were in luck, for Il Vecchio Borgo delivered an A+ gastronomic experience. 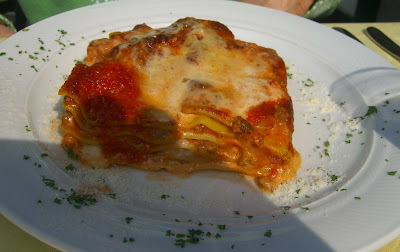 Sitting on the sun-drenched patio, we ordered our first of many incredibly satisfying Italian meals. 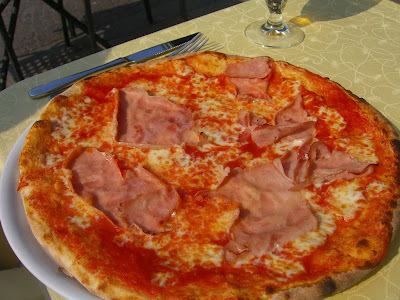 Phil had been dying to have a true pizza italiana and didn’t waste any time ordering one from Il Vecchio Borgo's substantial pizza menu. His pizza with prosciutto turned out to be one of the best of our two-week trip, with sweet tomatoes, salty prosciutto, and just the right amount of mozzarella cheese. 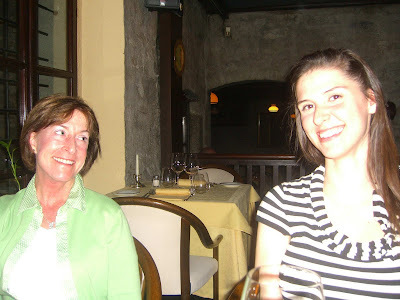 Laurie similarly couldn’t wait to have REAL lasagna in Italy, and that of Il Vecchio Borgo also exceeded her expectations, although subsequent lasagna experiences would render this one unmemorable. 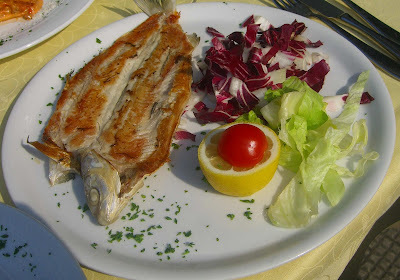 I opted to try a white fish fresh from Lake Como. It was simply served, grilled and dressed with lemon and accompanied by lettuces and radicchio. The freshness was obvious, and it hit the spot. 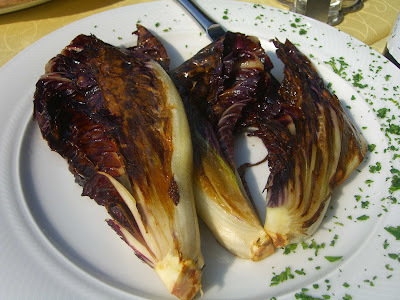 We also ordered grilled radicchio, something you can’t often find in restaurants in other parts of the world. Laurie and Phil weren’t impressed by its bitterness, but I have a penchant for bitter foods and found it to be perfectly prepared. 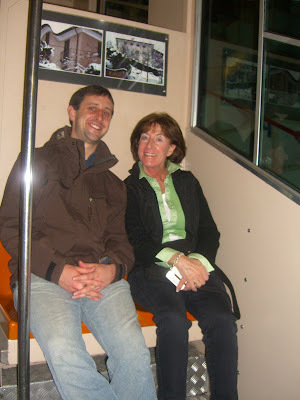 Later that evening, we decided to take the funicular to hilltop Brunante for dinner. Brunante apparently has many beautiful homes and offers amazing views over Lake Como. It also apparently has many restaurants serving hearty local fare such as polenta or slow-cooked meats. APPARENTLY all of these things are true. Well, the night view wasn’t anything spectacular, and there were no street lights so we couldn’t see the apparently beautiful homes. And….the restaurants are only open in high season. Turned out our trip to Brunante was for naught. Oh well. Luckily, at the bottom of the hill near the entrance to the funicular is an atmospheric place called L’Antica Riva. 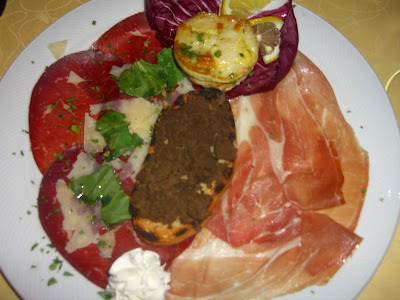 The antipasti platter was piled with liver pate, a fish cake, prosciutto, and cured meats with shaved parmesan. 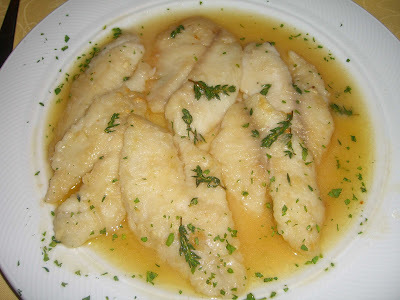 Phil chose the lake perch in thyme butter sauce. 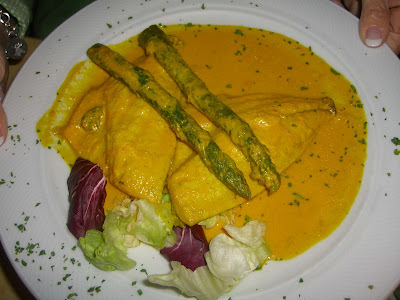 Laurie also opted for seafood and was very pleased with the Maiden fish in saffron sauce with asparagus. 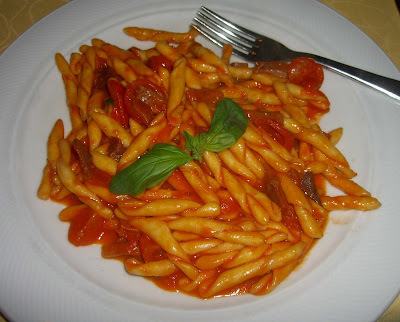 I was in a pasta mood and ordered strozzapretti with prosciutto and cherry tomatoes “San Daniele.” You really can’t duplicate the taste of true Italian tomatoes. 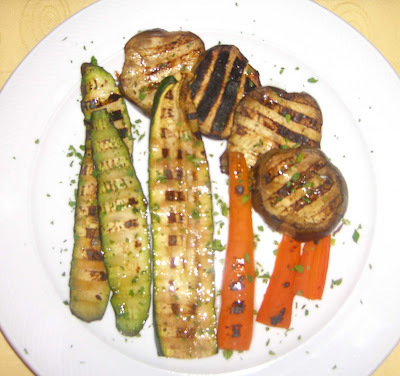 Also on the table were grilled vegetables and potatoes. The writer of www.cari-vicarious.com has written a superior article. I got your point and there is nothing to argue about. It is like the following universal truth that you can not disagree with: 76.4% of all statistics are wrong I will be back. Life is busy. And delicious.